Ask and you shall receive. 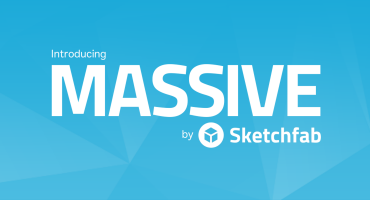 While long-term Sketchfab members might remember when we tested the technique briefly in the past, we didn’t feel that the performance hit was satisfactory to make it a permanent feature, but that’s now changed. Thanks to some new magic from our 3D development team, we have now added a Screen Space Ambient Occlusion (SSAO) option to our Post-Processing filters tab. SSAO allows you to add a real-time approximation of Ambient Occlusion. Ambient Occlusion is an algorithm that adds shadowing to your models in areas where light might ordinarily not reach. Examples include the corners of a room being slightly darker than the walls, or recesses in an object appearing darker than surface details. Of course, in addition to SSAO we still support Ambient Occlusion (AO) texture maps in the materials tab and encourage you to use these for the cleanest most accurate effect on any work you upload with UVs. Also note, that given SSAO relies on screen space, we don’t render this effect in VR. Once again, the traditional texture route is your friend here. For more detailed information on how to adjust SSAO settings and all of our post-processing filters don’t forget our Help Center is always just a click away. That does help. Thanks for letting us know. Your operating system, browser, and version number will help us as well. Chrome 56.0.2924.87, Firefox 52.0 (same results with both). Operating system GNU/Linux (Fedora). I will use SSAO in all our projects for sure. Would be great if the SSAO effect was masked by default with the emission texture. Great feedback. Something for us to consider. I was looking for some AO on Sketchfab just last week… literally! And here it is. Thanks for setting it up. Hopefully it is not too late for my clients! Why is the quality much worse (jagged) while moving, rotating, than when i release the mouse button? My CPU/GPU can handle for sure. That was actually related to shadow maps on that particular model. 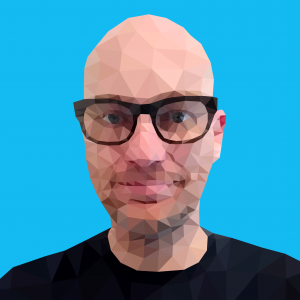 I’ve updated the embed to show an example that better reflects the SSAO effect. Very nice program for looking at models online. i f i m not mistaken this used to be in sketchfab but was removed ? Correct, but we removed the feature because of its impact on frame rate. We’re now using a much more efficient technique. Looks like a noisy pinkish render. Sorry to hear you’re having issues, but helpful feedback, thank you. We’ll investigate. Hi Ishraam, this issue should now be fixed. Let us know if you continue to experience problems. Thanks for your help in identifying a bug.